What should be the leftist position on development and housing? There is a legitimate case against overdevelopment that is not exclusively made by older homeowners who want us kids to get off their lawns. In fact, emotional appeals to overdevelopment resonate with the very young: Who remembers Dr. Seuss’s The Lorax and Bill Peet’s The Wump World – two books that were read to me in kindergarten that elicited a fear of a sad, dystopian asphalt planet? Or the Disney Channel movie Rip Girls, that came out when I was in the fifth grade, where the surfer chicks convinced the wannabe-surfer chick in town not to sell their home beach to developers who would make it into a luxury resort? Even a comparatively insulated and admittedly privileged child like myself in the 90s can be conditioned to resent the social costs of overdevelopment. This is how opposition to development can come from a class-conscious and environmentalist perspective, and not just among ex-hippie seniors in Takoma Park. Many of the arguments against specifically high-end development are intuitive. Opponents to gentrification rightfully argue that existing residents will be displaced, regardless of what promise of new employment opportunities new commercial development might bring. Likewise, the arguments for infrastructure to satisfy the needs of additional development do often consider that the burden of subpar infrastructure falls disproportionately on lower income residents. If school capacity and transit do not keep pace with development, lower income residents have fewer alternatives to turn to than wealthy residents. A fair case can be made that truly “smart growth” considers quality of life for all residents alongside the quantity of new homes. Similarly, environmental concerns play a role in opposition to or criticism of rapid development. While urbanists argue that denser developed areas prevent outward sprawl into rural areas and leave more untouched land available for agriculture and nature reserves, suburban residents make the case for maintaining minimums of green space, park space, and breathable air for the people who live there, especially for young lungs at play. Additionally, infrastructural strain such as increased impermeable surfaces have been featured in testimonies against increased density. 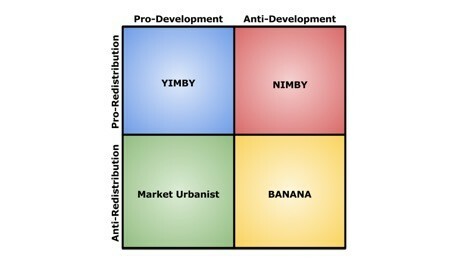 Lastly, there is a benign appeal to the conservative, “character of the neighborhood” objection to development. When coming from those who we consider less powerful – say, an elderly resident who purchased her modest home in a quiet suburb fifty years ago – appeals to preservation may resonate. I personally grew up with this strain of benign NIMBYism from my parents, who bought a 200-year old house in a small town’s historic district back in 1990, before neighboring streets faced an onslaught of tightly-packed McMansions to house wealthy commuters who sent their children to school with classrooms in excess of thirty students. 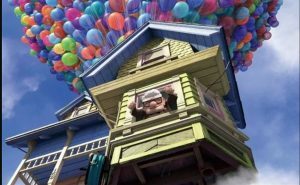 With this upbringing in context, who could help but empathize with the true story behind the Pixar movie “Up,” the stubborn elderly occupant of a cottage amid urbanized (and probably gentrified) development? All this being said, we need more affordable housing – with the emphasis on affordable. Urbanists and home-seekers alike will argue that there is simply a shortage of housing. Market urbanists make the argument that by increasing the supply across the board, housing costs will go down by the law of supply and demand. Likewise, by restricting zoning, limits on housing supply will cause the costs to go up. The debate lies in what kind of housing faces a shortage. Some argue that the supply in general remains too restricted, though I do not see families making multiples of six figures struggling to find homes. The tricky issue is the strain on low-income housing as well as homes for the “missing middle.” MPDU requirements, even when increased from 12.5% to 15%, still come with a very restricted income bracket, limited choices in size (most of them end up being single-bedroom and studio-style apartments, with few options for families), and a lengthy wait list. According to County Executive Marc Elrich, the most severe shortage of housing is for the lowest income bracket. The consequences of this shortage are threefold: low-income families face homelessness, those that keep their homes pay over half of their income on rent and face eviction when they cannot keep up with their payments, and lower-middle income residents (early-career millennials, for example) are squeezed out of housing appropriate for their incomes because it is being occupied by residents who make below their income bracket. In other words, millennial roommates are competing with low-income families for the same housing supply, and nobody wins. Meanwhile, developers find luxury housing with minimal MPDU requirements to be most profitable. This housing ends up being occupied by the new, high-earning residents attracted to the amenities, or by lower-middle-income millennials who also like the shiny objects but, once again, end up paying half their income on rent (and never save up for homeownership, or end up killing industries due to their lack of discretionary spending). The fact remains, however, that the shortage of affordable housing largely applies to multifamily housing. Criticism of single-family zoning requirements is not limited to pro-development blogs like Greater Greater Washington, but also concerned citizens on the left, exemplified by a recent Commonwealth MoCo blog post. Exclusionary single-family zoning, according to their argument, results in segregation by income (and often by race) and insulates wealthy (white) homeowners from “encroachment” by “keeping the rifraff out,” as one activist puts it. While requiring basic accompanying infrastructure alongside development is a sound concept, progressive affordable housing advocates should be wary of these criticisms when coming from the testimonies of wealthy homeowners and thorough in their analysis of what constitutes adequate infrastructure. Are there established metrics of investment into transit, school capacity, and other social services necessary to accompany the arrival of a given number of new residents in their new homes? Or is a particular subset of well-established homeowners, resistant to change, combing through the regulations in order to find one loose thread in their aim to unravel the entire development proposal, under the guise of “infrastructure”? There is an apparent divide between progressives and leftists who resist development that is inequitable and unsustainable and those who resist development for less altruistic reasons. This divide may become increasingly pronounced. Are Accessory Dwelling Units (ADUs) the wedge issue? 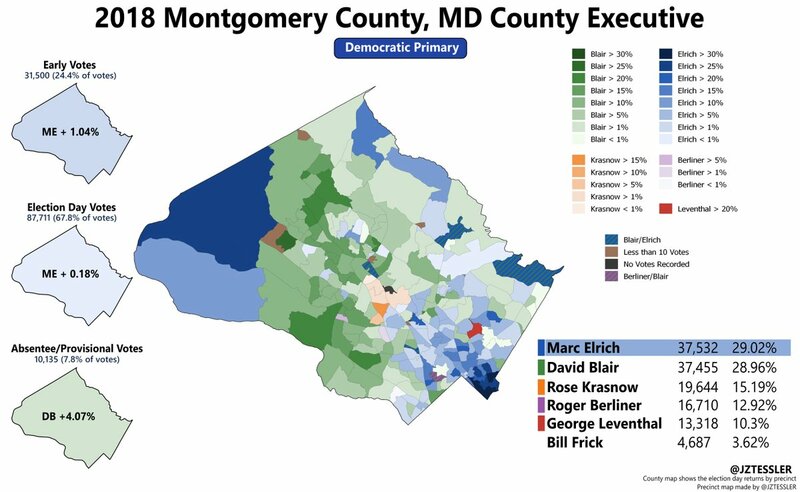 County Executive Marc Elrich won the Democratic primary by a mere 77 votes. Were it not for every single branch of the coalition that supported him, Montgomery County would be head by the multimillionaire, capitalist and pro-business choice of the Washington Post. If Elrich is historically seen as the leading opponent to (excessive?) development in the County, it would make sense to assume that some of the decisive Elrich voters were of the more conservative, exclusionary wealthy homeowner class of anti-development voters. It would also make sense that, for political purposes, Elrich might refrain from publicly denouncing those voters for their reasons for supporting him. One activist described how some wealthy homeowners oppose development for reasons that are “simply racist” and seek to keep certain residents outside of their communities, and yet, that “these people love Marc” for zoning purposes alone. 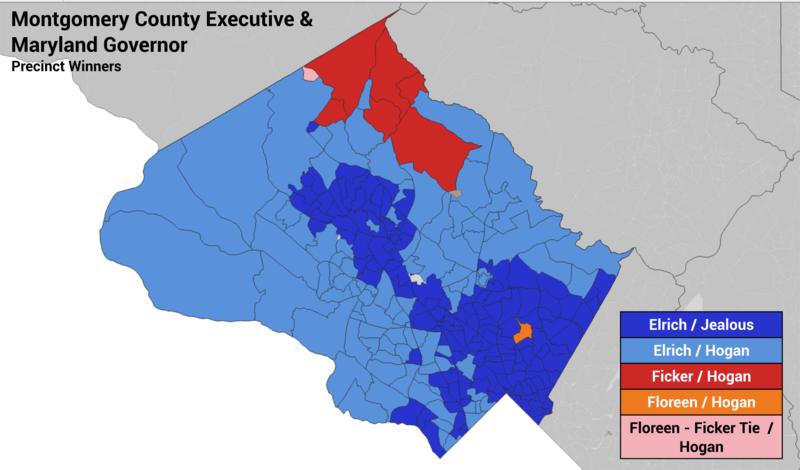 Precinct data showed that, outside of the Ag Reserve, Elrich performed best in urbanized, mixed-income areas with high diversity, such as downtown Silver Spring and East County. The precincts that consist of mainly wealthy, single family neighborhoods – Potomac, West Bethesda, Chevy Chase – leaned toward David Blair. This suggests that, regardless of these residents’ stances on development, they opted for the more fiscally conservative, center-right (by our standards) County Executive candidate. Pro-development and YIMBY activists are trying to make Hans Riemer’s Zoning Text Amendment a wedge issue on the progressive stance on development. 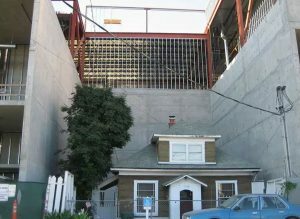 Framed in a way that would enable residents to choose to have accessory dwelling units on their own lots, the ADU bill attempts to deregulate development in a sense without having “greedy developers” as the opponents’ easy target. The idea is to increase affordable housing options by lifting some burdensome restrictions. Proponents of this bill argue that its opponents are prioritizing the convenience of single family homeowners. Opponents, on the other hand – such as Elrich himself – argue that the issue isn’t increasing the number of ADUs per se, but glossing over some of the regulations that might still be necessary. At the end of the day, what we have once again is both sides digging their heels into an all-or-nothing narrative. You either support Riemer’s bill as-is, or you are against affordable housing. Critics of Riemer’s ZTA should focus their arguments on which regulations should remain intact and what infrastructure demands new ADU residents would bring, rather than “character of the neighborhood” aesthetic complaints from (wealthy) single family neighborhood residents. “Compromise” is not a word we really like to toss around all that much. At the risk of sounding like a mealy-mouthed centrist appeaser, it would serve DSA members and Elrich supporters alike to come to a consensus on development policy and proposals like the ADU amendment. Instead of supporting or opposing the idea outright, or deriding those who don’t support it as reflexively anti-housing, perhaps we should comb through the text of the bill and decide which regulations are necessary and which are redundant or archaic. More importantly, those who are known to oppose new housing plans should prove to others that they are not categorically anti-housing. Executive Elrich, whose criticism of development has (deservedly or not) earned him the NIMBY label, should present a counter-proposal to the housing plans he has rejected in order to affirm his commitment to providing new affordable housing. While it is in our interests to oppose development done wrong, it is also in our interests to propose development done right. If I were to propose a leftist consensus on housing, it would be one that is moderately pro-density and soundly pro-infrastructure. While I generally avoid slippery slope arguments, I do fear that maximal density as a housing policy would diminish quality of life for all residents in the vicinity. We wouldn’t want to go to such extremes in urbanization that would reach unsustainable – and even unsanitary levels. I do agree with the pro-density premise that increased development in the urban, transit-accessible cores would limit outward sprawl and encroachment into areas designated to be more rural (for example, upcounty). Extreme density, however, would overlook certain environmental factors, such as drainage and runoff from increased impermeable surfaces, and the urban heat island effect. At the same time, we must make sure that “infrastructure” is not a stand-in excuse for wealthy homeowners to preserve their own giant yards and parking spaces for SUVs. Market Urbanists are not your friends. One of the pitfalls of the NIMBY vs. YIMBY dichotomy among the left is getting away from the root of the problem, which is that housing, a social good, is almost entirely dictated by the market. In this case, I am defining a social good as something you can’t opt out of if you can’t afford it, similarly to healthcare. Everyone needs a home, and if you don’t have enough money for a home, in most cases, you will pay a disproportionate amount of your income towards rent and sacrifice everywhere else (and in turn, hurting the consumer goods market because you have no discretionary spending). The author of the aforementioned Commonwealth article conceded in a series of tweets that the capitalist process of “filtering” justifies a deregulated housing policy. By this process, developers should be encouraged to build more housing across the board, including luxury housing, because the wealthier buyers would choose the newest and most expensive homes while the others would “filter” down to those with lower incomes. This “trickle-down” logic posits that increasing the supply is the fundamental answer to the affordable housing crisis, and the way to do so is to lift regulations on development (therefore encouraging developers to simply develop more). The problem is, however, that housing does not “trickle down” in cost like new iPhone models. When home values and prices go down, it’s because of an external market crisis, such as the recession and housing bust of 2008. If a developer builds a new luxury high-rise with single-bedroom units going for $2,000/month, that’s not going to make the previous high-rise’s single bedrooms budge from their $1800/month. The reason being is that the supply and demand model is imperfect in this case, as I described above. Rents don’t go down so that the market can bear them; tenants instead become more rent-burdened. Also, who is to say that comparatively wealthier people will necessarily choose the more expensive units? The incentive structure of the capitalist economy demonstrates otherwise. For example, I currently pay about 27% of my gross monthly income on rent. 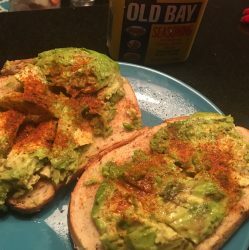 When I get raises, or if I get a new job, I’m not going to move to a bigger apartment; I’m going to put money away for a future downpayment. This could be considered a selfish decision, since someone with a lower income might want my apartment, but the capitalist system, after all, incentivizes homeownership and building equity. It matters what kind of housing is being built, and our priorities should not be to pave the way (bad pun intended) for developers to increase their profits. Removing necessary regulations such as infrastructure requirements (or the taxes that pay for them) in order to encourage developers to build more by making it more profitable will not result in more affordable housing. When housing advocates on the left use the supply argument, they are no longer aligning themselves with YIMBYs, but with market urbanists. 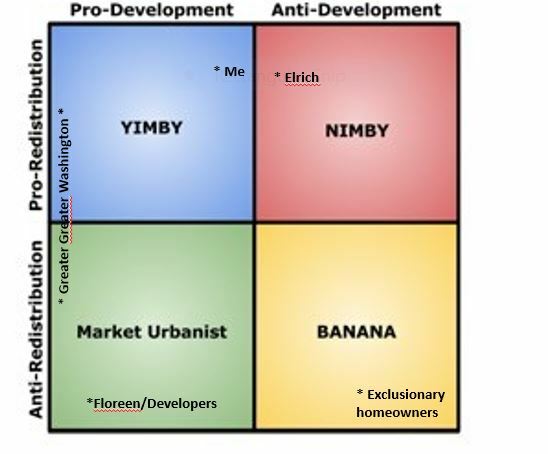 Were I to guess, I would place my stance on Montgomery County-specific development moderately in the YIMBY square, with about 10% towards the pro-development side and 70% towards the pro-redistribution side. Marc Elrich might be a mirror image of that in the NIMBY square, or maybe 70% redistribution and 10% anti-development, but that would be for him to determine, given the metrics. Greater Greater Washington would be 80 to 100% on the pro-development side, but vary from moderately pro-redistribution to moderately anti-redistribution. The way things have played out, unfortunately, is that the developers who backed Nancy Floreen for County Executive would be solidly on the Market Urbanist pro-development/anti-redistribution side, which is the loudest voice of increasing the housing supply across the board as the way to solve everything. The wealthy white homeowners that Elrich is wrongly being accused of protecting (and who didn’t even vote for Elrich) are solidly on the anti-development and anti-redistribution side, or BANANA (“Build Absolutely Nothing Anywhere Near Anything). Based on the precinct results, BANANA territory voted for David Blair and then for Larry Hogan in the gubernatorial election. D19 delegate and DSA member Vaughn Stewart recently introduced a social housing bill, which gained coverage in Jacobin. While Executive Elrich has voiced support for the bill in casual conversation, the recent Commonwealth article stated that Elrich has not voiced public support or endorsement of the bill. Elrich faces a budget shortfall for the County and further reduction for the FY20 budgets (thanks to Donald Trump’s Tax Cuts & Jobs Act), so lack of funding might be a valid argument. The resources to implement this social housing proposal may be a long way coming, but that doesn’t mean we can’t talk about the initial stages of appropriating funds. Marc has a big job of creating a multi-pronged approach to increasing revenue and funding necessary (and hopefully transformative) services. As Elrich works within the existing capitalist system to increase revenue through new businesses (and hopefully taxing country clubs, one of these days, we hope he can allocate funds toward a truly progressive housing plan. Especially if the social housing ends up near single family neighborhoods in Chevy Chase.